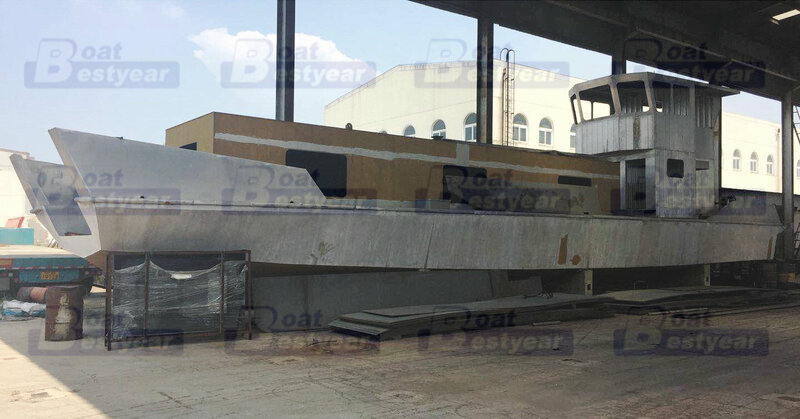 This aluminum landing craft 22m boat is a type of large aluminium cargo boat for commercial usage.It's a Large working boat for car truch and cargo etc.All the hull material is marine aluminium. 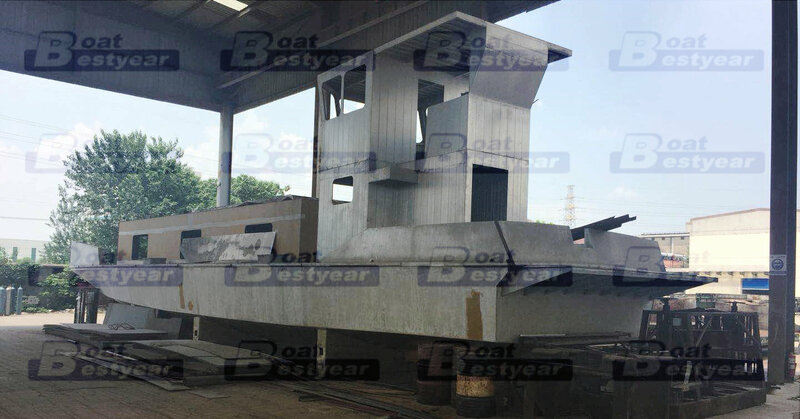 Pilot house on deck or upstair to whole open deck for more space cargo.The Loading capacity is about one or two 40HQ containers.The boat also has completed marine equipements like wheelhouse,driver seats,heavy duty no slip deck,rails,windscreen,water tank,fuel tank and so on.Inboard engine or outboard engine both can be used in it and the recommended engine power is 2*350HP.This boat is almost ready, and the current price has a discount. For more details,welcome to contact us.